The Staby is one of the most innovative and versatile fitness tools on the market today. Staby is a highly effective training tool for both fitness and therapeutic professionals. It can be used by anyone of any age or of any level of fitness. From someone just starting a fitness routine – to a seasoned workout veteran – to someone trying to recover from an injury, the Staby is a tool for all. Our online videos will help you master the Staby and receive the life changing benefits from vibrational training. For the first time, you can do Staby training in the comfort and convenience of your own home or office with our online video library. We have workouts for every body segment and that also fit your busy schedule. Workout with the worldwide leaders of Staby Fitness while improving your underlying chronic weaknesses. Staby’s unique vibrational training provides Perfect Training through Perfect Control. Vibrational training is the latest in fitness technology and a breakthrough in low impact fitness. Powerful enough for the most seasoned fitness athletes but low impact enough for the patient beginning their rehabilitation. 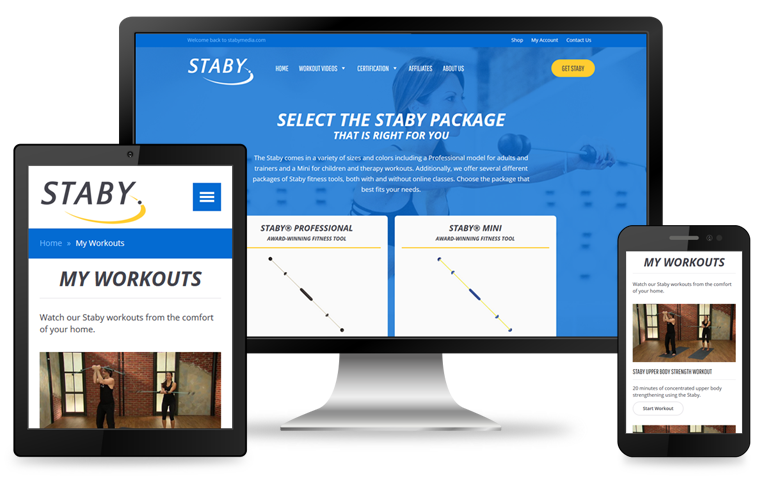 From professional athletes to professional trainers to rehabilitative professionals, the Staby is an effective tool for all. Through regular training or therapy with the Staby, the user can expect to garner all of the following benefits. 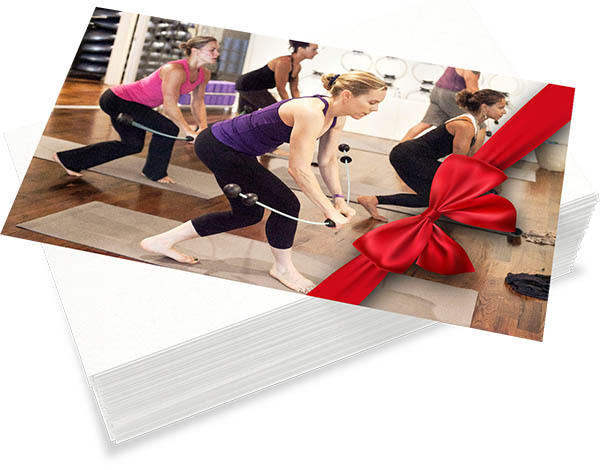 Looking for a great gift for the fitness and wellness enthusiasts in your life? How about giving them a Staby gift card so they can select the products, online workouts and classes they love using the amount you send. Signup for our newsletter to receive Staby updates. Learn how to integrate Staby training in your classes today. Explore new exercises, new routines, find new music to add variety to your classes. By bringing the Staby into your routines, you can develop more effective, fun and creative classes for your clients. Are you a therapist looking for a low impact fitness tool to use in your practice? Learn how you can integrate the Staby into your practice and how it can help your patients push through their intrinsic weaknesses or overcome their injuries and return them to healthy movement. Staby tools come in 2 sizes: the full size original Staby Professional Model made for adults, and the Staby MINI, perfect for kids and for use in therapeutic classes. Both use vibrational training and both have movable, adjustable weights to get the most out of your new fitness tool. This tool is perfect for adults and fitness professionals. This tool is perfect for children, seniors and therapy.